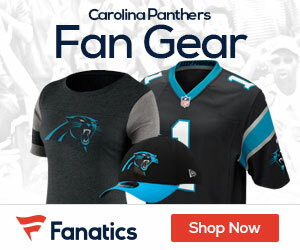 For the second offseason in a row, the Panthers seem to be slow-playing cornerback Captain Munnerlyn as free agency approaches, Joseph Person of the Charlotte Observer reports. Munnerlyn started every game in 2013 and had arguably his best season after signing a one-year, $1.1 million deal to return to the Panthers. Munnerlyn made USA Today’s list as one of the league’s top 25 free agents, coming in at No. 23. The only other Panther on the list was defensive end Greg Hardy, who is USA Today’s second-ranked free agent (behind only New Orleans tight end Jimmy Graham) after his 15-sack season. But with general manager Dave Gettleman saying the Panthers will be cap-challenged for at least two more years, there has been little in the way of contract talks for Hardy or Munnerlyn. Munnerlyn believes the market will be more bullish for him that last year, when he turned down an initial, three-year deal from the Panthers but found no better offers elsewhere. Munnerlyn, in his third year as a starter, returned two interceptions for touchdowns for the second consecutive season. And playing in a scheme that requires corners to be good tacklers, Munnerlyn missed three tackles in 932 regular-season snaps, according to Pro Football Focus. 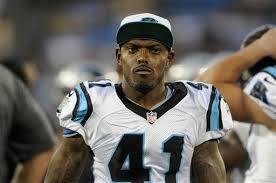 Because of his size, the 5-foot-8 Munnerlyn remains best suited for the nickel spot, lined up against a slot receiver.